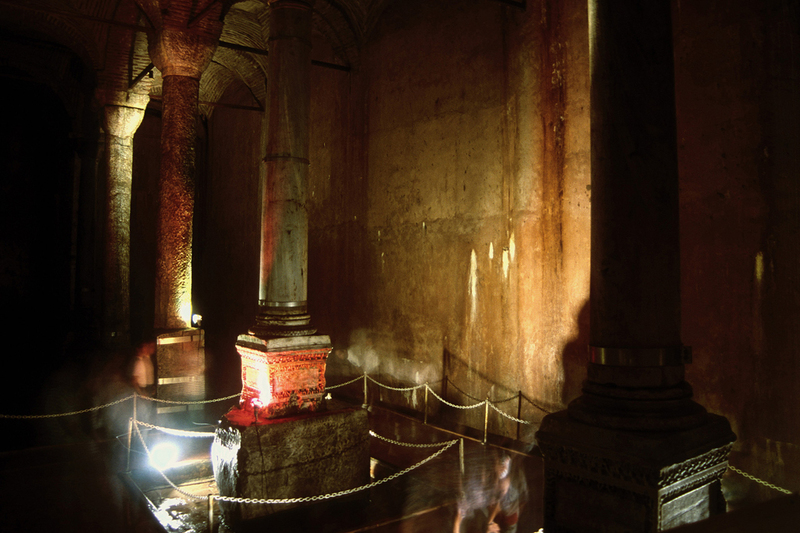 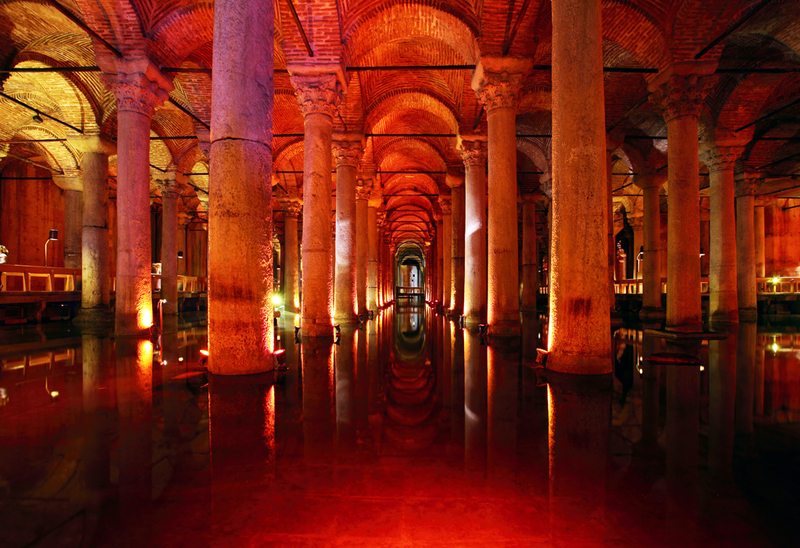 The Basilica Cistern traces its roots on the historical peninsula to 542 CE. 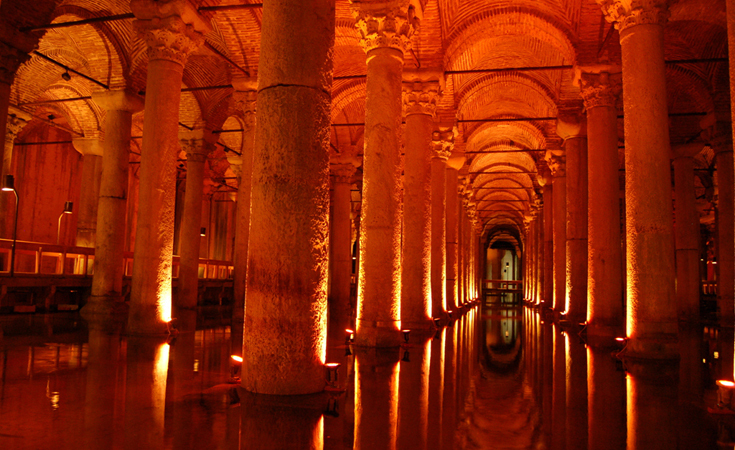 Built by Emperor Justinian in order to supply the water needs of the Great Palace, it has an area of 9800 square meters. 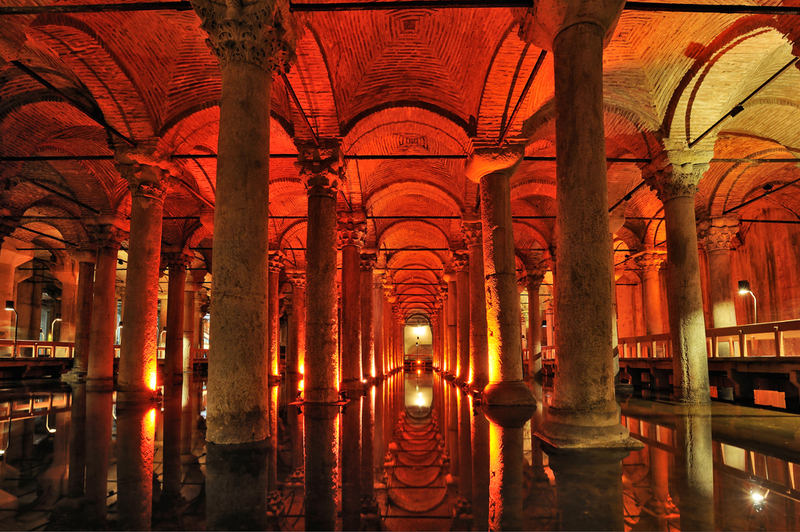 The Basilica Cistern (Yerebatan Sarnıcı) traces its roots on the historical peninsula to 542 C.E. 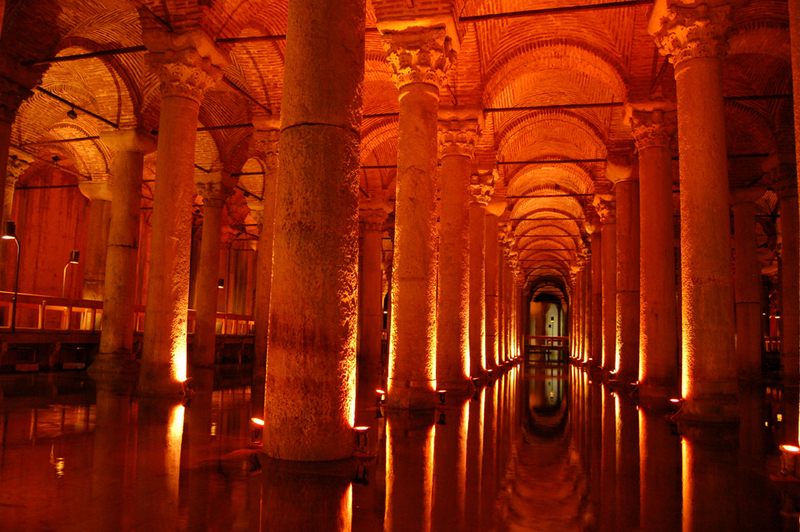 Built by Emperor Justinian in order to supply the water of the Great Palace, it is based on an area of 9800 square meters. 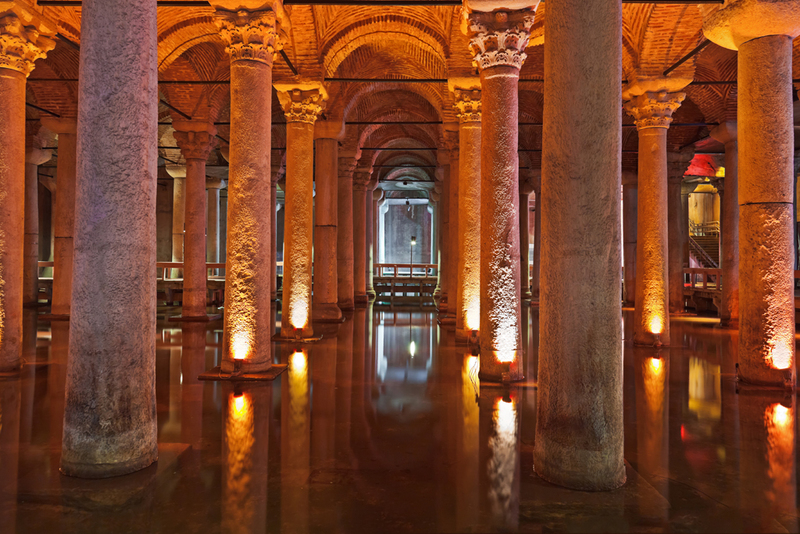 Constantly under repairs and restorations since the Ottoman period, the Cistern was finally opened to the public in 1987. 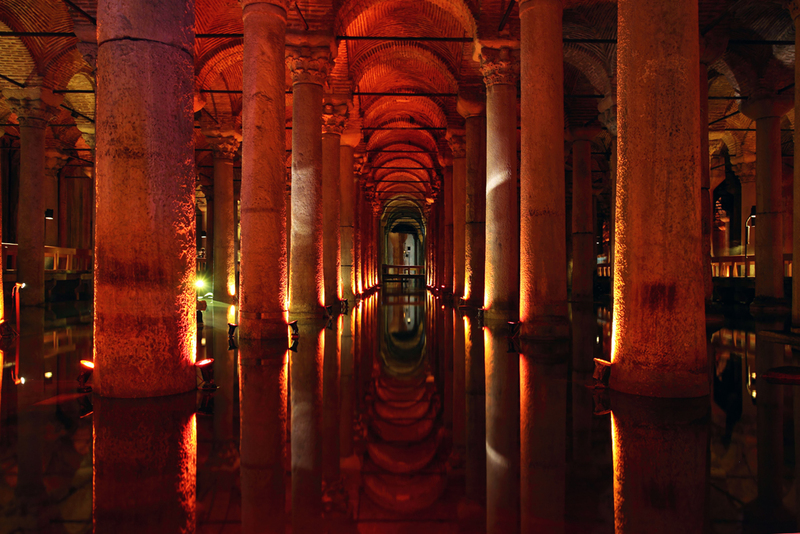 The Cistern is a spot you should not miss on your travel to Istanbul, and it frequently hosts artistic events that are well worth a visit. 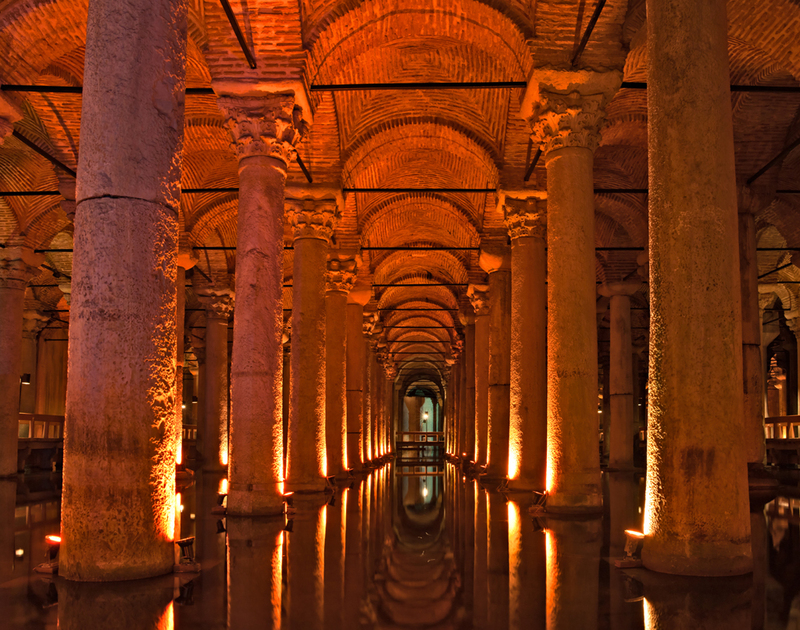 The Basilica Cistern is open every day from 09:00-18:30. 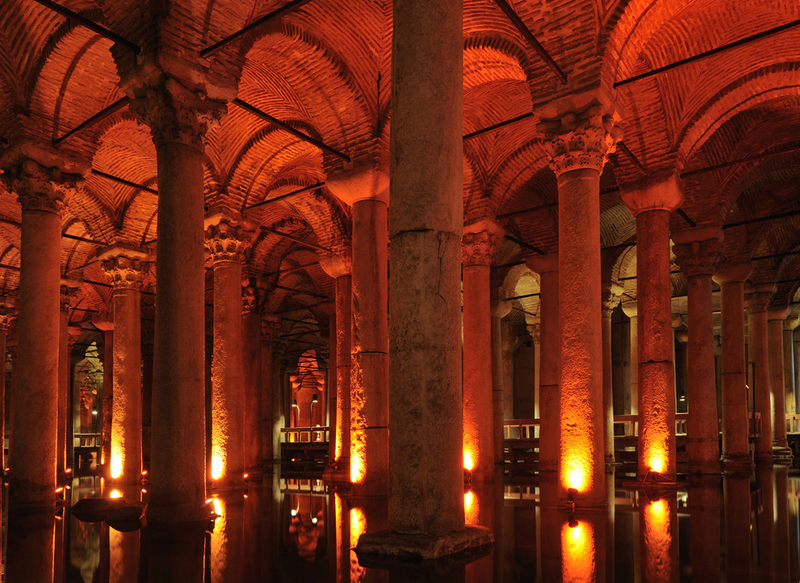 Because of the high level of humidity inside the Cistern, individuals with asthma and other respiratory disorders should enter with caution. 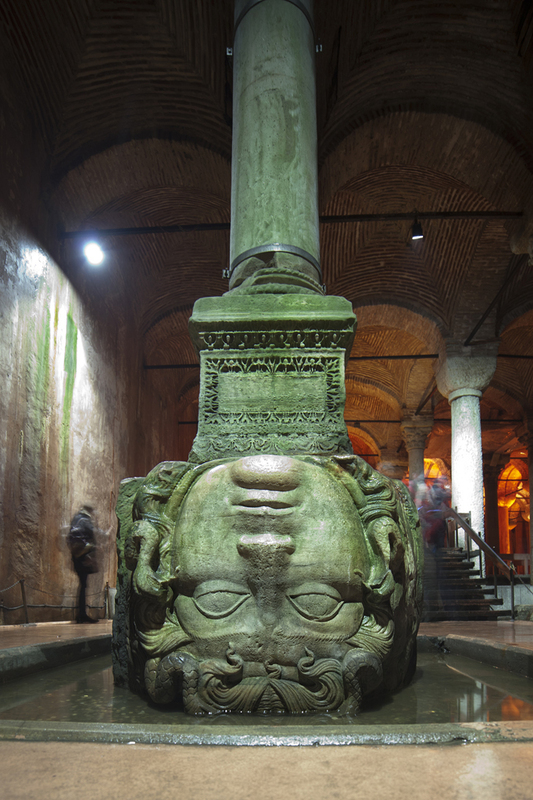 Taksim: Take the funicular railway inside the Taksim metro station for Kabataş. 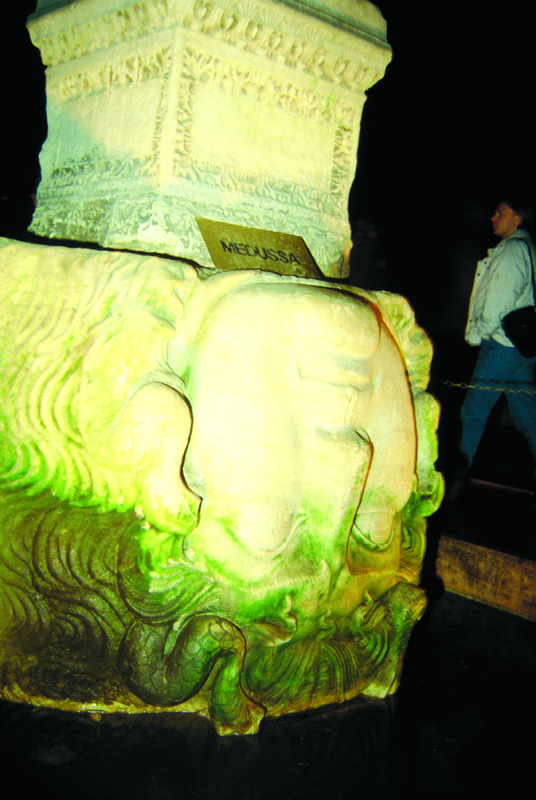 From Kabataş, take the T1 Zeytinburnu – Kabataş tramline for Sultanahmet. 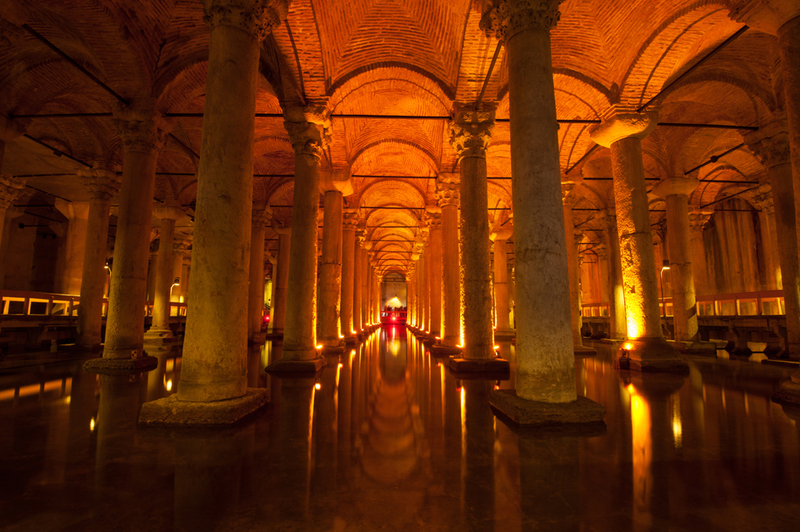 Atatürk Airport: Take the M1 Aksaray – Airport metro line and get off at Zeytinburnu station. 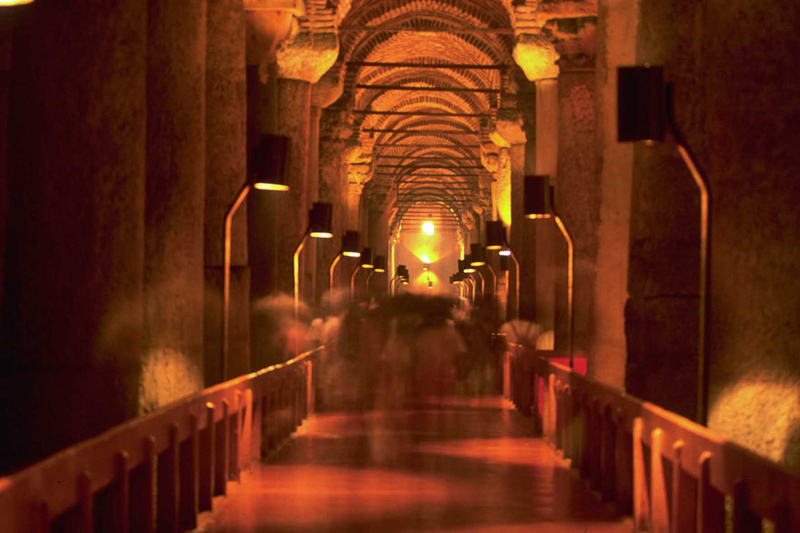 Then get on the T1 Zeytinburnu – Kabataş tramline for Eminönü. 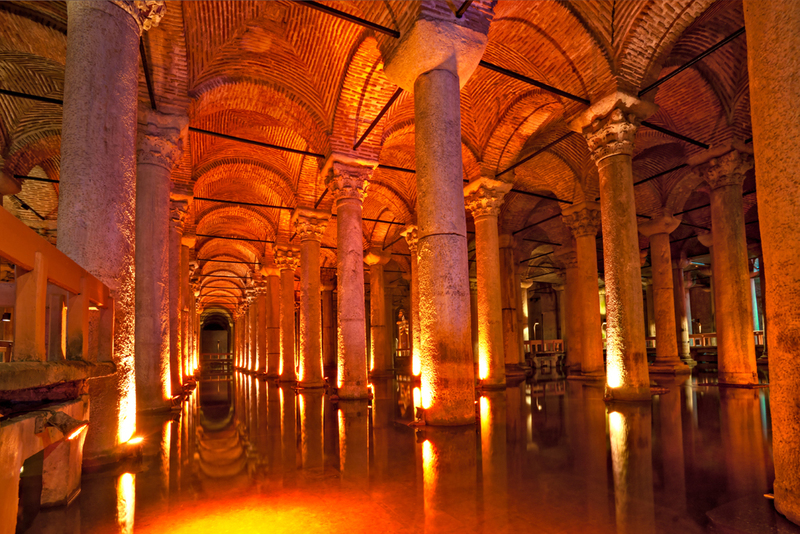 Follow English instructions inside the train for the Sultanahmet stop. 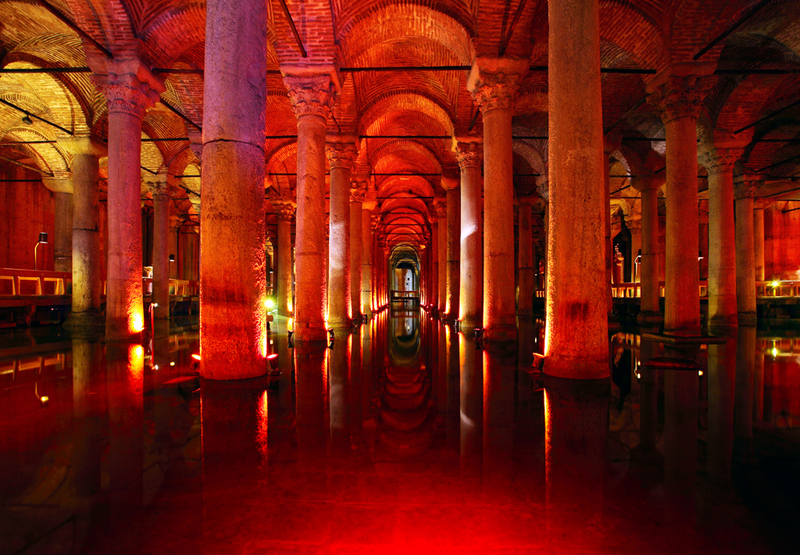 It is located on the left side of Yerebatan Street across the Ayasofya Museum.